Expand search to view more listings in and around Milwaukee. 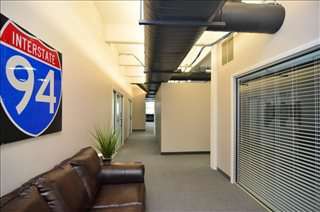 See more offices in and around Milwaukee. At Offices.net we feature office buildings located in prime Milwaukee business areas, offering coworking spaces, private and shared office suites, available in a range of sizes and configurations. With short term and flexible contracts, your company will have the benefit of a prestigious business address in Milwaukee, Wisconsin including an extensive range of services and amenities, without the usual commitments of a conventional office space lease. 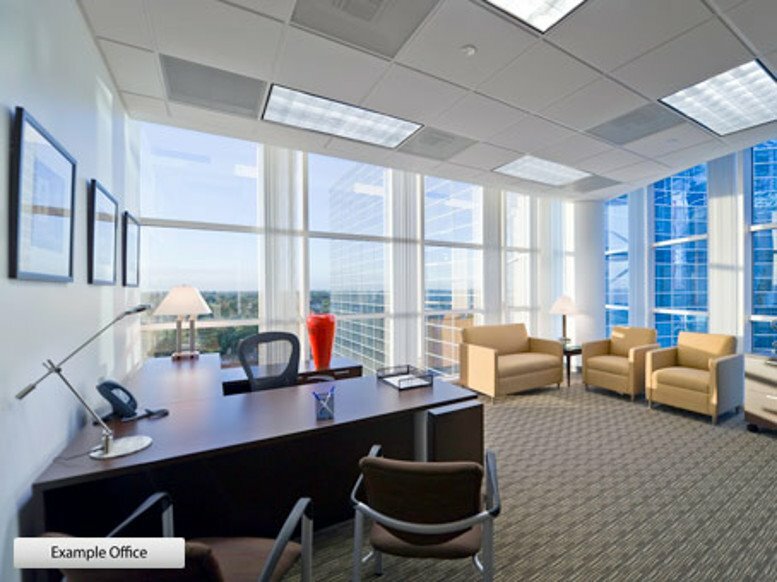 We offer businesses of any size the simplest, quickest and easiest way to secure professional office space in Milwaukee, Wisconsin. 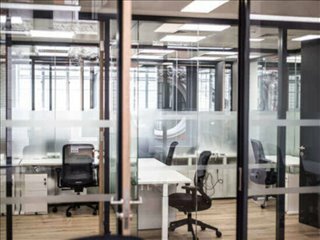 Many of our executive office suites and spaces for lease come with a wide range of facilities included, and flexible rental contracts that are tailored to your needs. Our aim is to ensure that the process is as easy as possible for our clients. A wide selection of the business centers and Milwaukee, WI office space come inclusive of a range of business services which include office administration, dedicated reception and on site IT support staff, high speed internet and WiFi services, lounge and meeting room facilities. In addition, a number of the office buildings provide free car parking, all-hours access, dining facilities and break out areas. 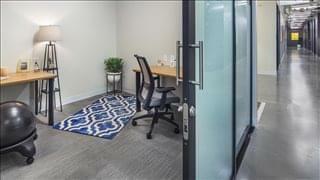 Select one of the Milwaukee executive suites, shared offices, open floor plan coworking spaces, or retail space for rent listed on this page. You will find this office space available for immediate rental on flexible terms. 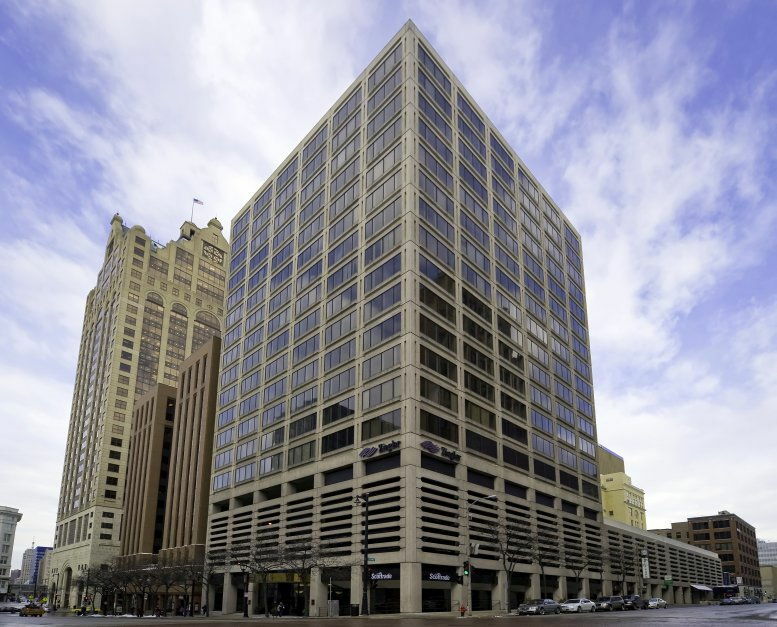 All of the Milwaukee commercial office space, industrial space, office retail space, medical office workspace and other office space for rent listed on this site is in prestigious locations with easy access to amenities and shopping centers as well as road networks. Other smaller sub-markets are Brown Deer, North Shore, Menomonee Falls (Menomonee River Valley), Germantown, Greenfield, Oakcreek, and Franklin. 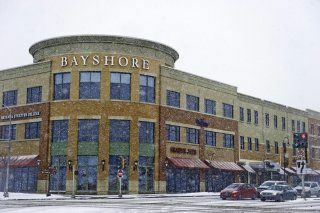 Office Market Overview: The Milwaukee market has an above-average amount of corporate headquarters, and in this respect it ranks on par with cities like Denver, Dallas, Seattle, and San Francisco. Market performance is generally strong, as the city has a growing number of office-using jobs, which in 2017 amounted to 193,000. Average Office Rental Rate: Asking rents have been steadily on the rise, reflecting the overall health of the local office market. In late 2017, they averaged $19 / sq ft / year across all sub-markets, increasing to $25 / sq ft / year in prime areas like Mayfair, Wauwatosa, Downtown East, and North Shore. 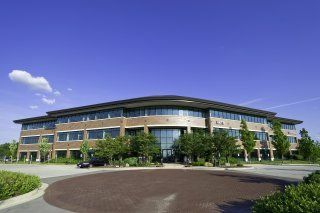 There is a fair share of affordably priced offices in southwest Milwaukee, WI and Brookfield. 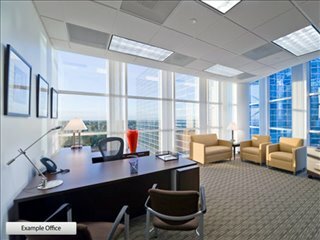 Need help with your Milwaukee, WI office space search? Just get in touch using the contact details above and we'll be more than happy to recommend suitable Milwaukee commercial space, business centers, cowork hubs, office buildings and warehouse spaces for lease in and around Milwaukee. All we need to know are your basic essentials; the number of desks you need, your ideal locations and your budget. Wisconsin's largest city has a population of nearly 600,000 people and is known as one of the top economic and cultural hubs of the Midwest. Milwaukee's location by Lake Michigan was crucial to the city's growth, which was initially spurred by trade and shipping, to later become predominantly reliant on manufacturing during the second half of the 20th century. Major Industries: Modern-day Milwaukee has a diverse economy, although its industry base has clear strengths in aviation, high tech, precision manufacturing, and tourism. The city is also a renowned hub for smart energy production, water technology, medical devices, finance, and insurance. Key Employers: Milwaukee, WI is home to a dozen Fortune 1000 companies, including Johnson Controls, Manpower Group, Harley Davidson, Northwestern Mutual, Rockwell Automation, WEC Energy, and Kohl's, and the city's largest employers are healthcare sector players, such as Aurora Healthcare, Ascension Wisconsin, and Froedtert Health. Labor & Employment: In 2017, Milwaukee was listed as one of the best cities to find a job in the United States and also ranked high on related criteria, such as job satisfaction. Some of the occupations with the best prospects and in high demand include civil engineering, sales, and medical consultant roles. Moreover, jobs in the creative sector offer plenty of potential for growth and are likely to become one of the key drivers of employment in the local area, particularly in areas like design, which accounts for over 45 percent of all creative jobs in Milwaukee. Business Benefits & Support: Establishing a business in Milwaukee affords important benefits, including proximity to key Midwestern cities such as Chicago and Madison, which are approximately 90 miles away. Milwaukee is one of the top 25 US cities for doing business and business growth is a top priority for local and state government, a fact that is reflected in the range of support policies and incentives available, especially for companies operating in sectors like manufacturing, agriculture, and clean energy, as well as for minority-owned businesses. A list of business financing schemes and other useful resources can be obtained from the City Development Department at the City of Milwaukee.